This is our way to THANK YOU for your continued business and support. You will be issued a rewards card which will be exclusive to you, this card will be credited based on your purchases each time you visit. These credits/rewards can be accumulated and saved for a larger repair or used on your next visit for something as simple as an oil change. During various times of the year we will email or text a special that can earn you double rewards points on specific repairs or services. So, sign up and watch for the details. 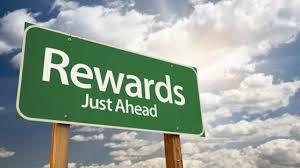 Please bring your card with you each time you visit to ensure your rewards are credited. Thank you again for your business and we look for to rewarding you over and over!